March 07, 2012: Rystad Energy is today launching their global databases UCube and DCube to the South East Asian market. At the by-invitation-only event tailored to 40 high ranking business professionals from mainly Malaysia and Vietnam, Jarand Rystad, Managing Director, and Arne Gulbrandsen, Head of Sales, are providing live demonstrations and case examples on global and SE Asian oil and gas data. 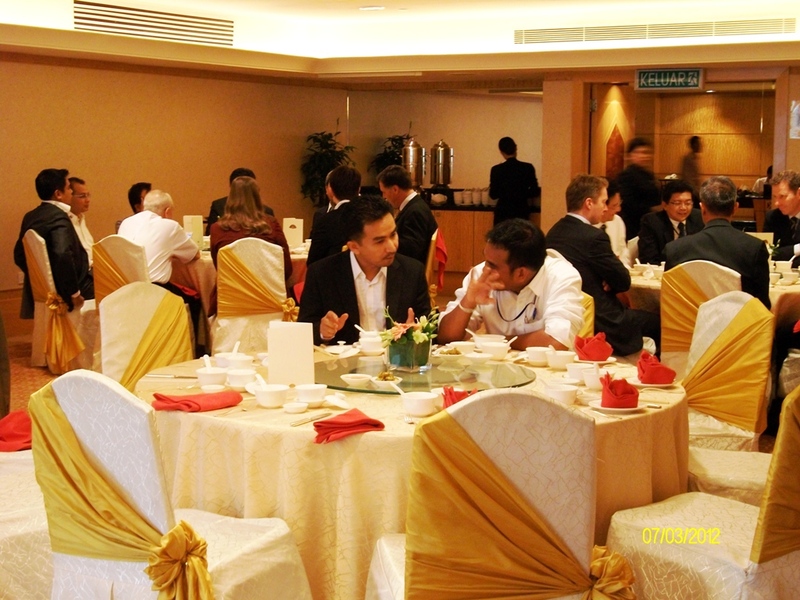 In cooperation with locally based Searie, reseller of Rystad Energy’s products and business relation partner Scandinasia, the launch is held at the Mandarin Hotel in the heart of the city of Kuala Lumpur, Malaysia. Representatives comprise oil and gas companies, investors and governmental representatives, including Petronas, Petrovietnam and the Royal Norwegian Embassy. “We are excited to start offering our databases to the SE Asian market. With the help of our business partners Searie we expect rapid and penetrating relations with local and regional companies alike”, says Arne Gulbrandsen. The event is the first step into the South East Asian market after an ongoing strong growth of Rystad Energy in Europe and North America. Rystad Energy is an independent oil and gas consulting services and business intelligence data firm offering global databases, strategy advisory and research products for E&P and oil service companies, investors and governments. Rystad Energy has obtained position as the leading oil and gas business experts in Northern Europe. UCube is an online, complete and integrated field-by-field database, including among others, reserves, production profiles, financial figures and ownerships of 65,000 oil and gas fields and licenses as well as portfolios of 3,200 companies. It covers a time span from 1900 to 2100. 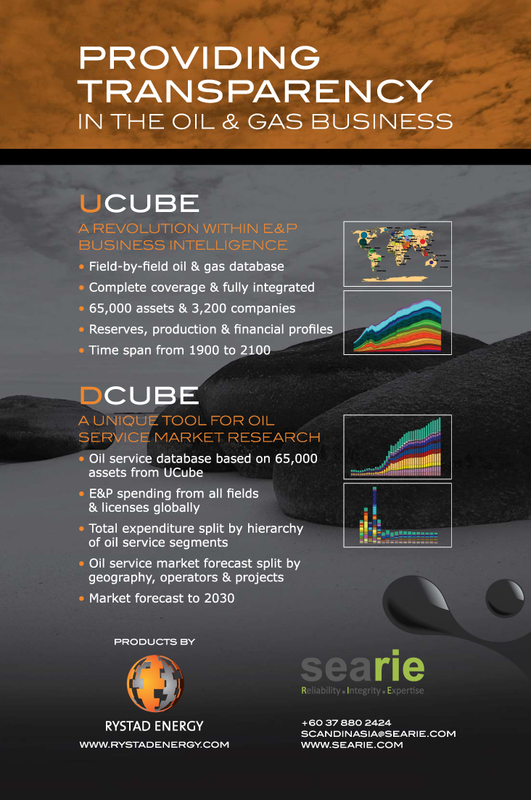 DCube is an asset-based, bottom-up database for forecasts on oilfield service revenues comprising data on 65,000 oil and gas fields and 2,300 companies.